Zotero is a tool to help you collect, organize, cite, and share your research sources. 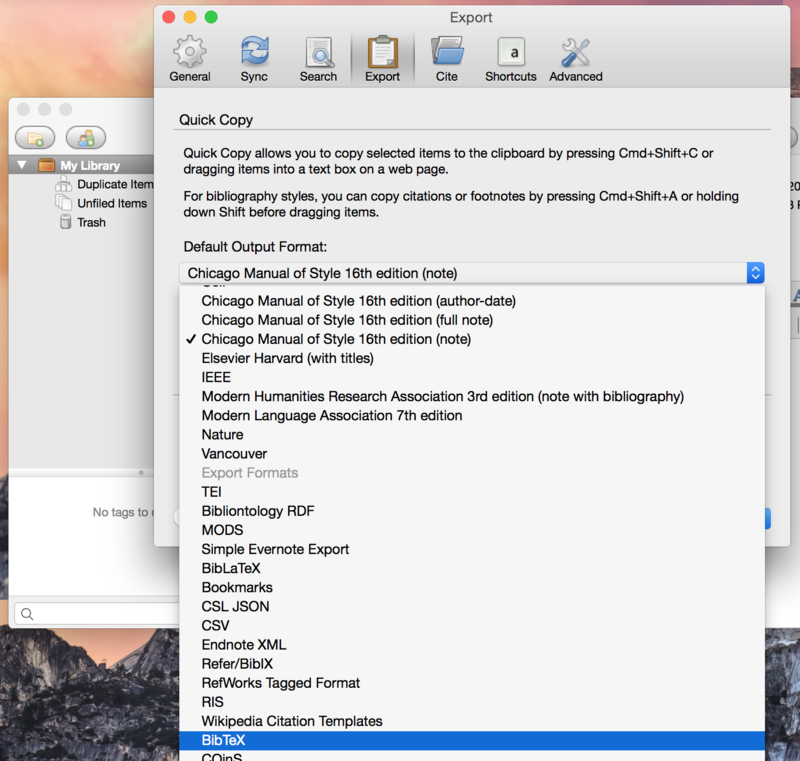 To integrate Zotero into your Authorea writing environment, make sure you first set the Zotero default export format to BibTeX. 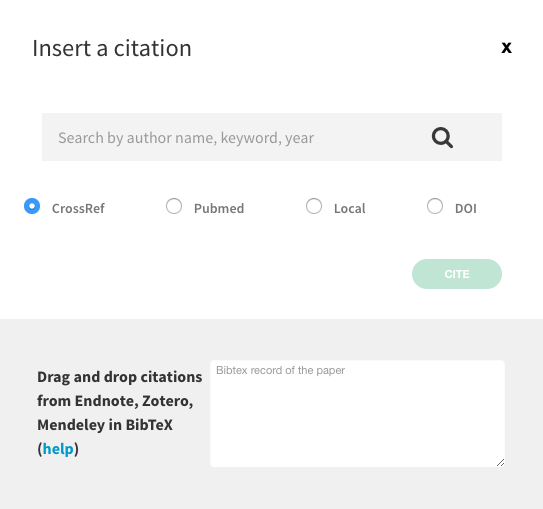 Click “cite” in the Authorea editor toolbar, and you can now drag and drop (or copy paste) citations from Zotero into the BibTeX record box at the bottom of citation window.